Since 1981, Dr. Paul Sussman and Dr. Meredith Pogal have been providing patients throughout Upstate New York with quality solutions for maintaining dental health and achieving better smiles. 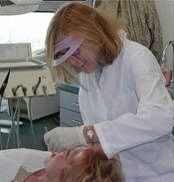 Our dentists are dedicated to ongoing education in advanced technology and techniques to offer patients in and around Rochester the most modern cosmetic and general dentistry treatments. To learn more about our broad range of dentistry services for individuals and families, please call the office of Dr. Paul Sussman and Dr. Meredith Pogal today at 585-227-4390. We are pleased to offer free consultations at our office conveniently located in The Mall at Greece Ridge Center in Rochester. 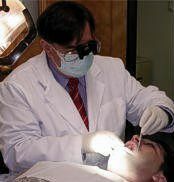 Dr. Sussman and Dr. Pogal are dedicated to being well-rounded providers of cutting-edge dental care. To provide this high standard of care, both of our dentists continually seek out new training opportunities with leaders in the dentistry field like the Las Vegas Institute for Advanced Dental Studies (simply known as LVI). We realize our patients have busy schedules that can make it difficult to fit in dental care. If you're scheduling an appointment or need immediate treatment, our team will find a way to book you and possibly even the whole family for a visit that accommodates your time constraints. Dr. Pogal and Dr. Sussman are a married dental team who have enjoyed working together to help patients in Rochester for more than 30 years. Their daughter, Dr. Tracy Pogal-Sussman, recently joined the practice as an orthodontist. From your first visit to our Rochester office to the successful completion of your treatment, your comfort and quality care will be our dentists' number one priority. We embrace and use the latest dental technology so you can enjoy superior diagnosis and treatment, as well as the corresponding benefit in customizable cosmetic and restorative procedures. To learn more about our Rochester dental practice and how our 35 years of experience can enhance your smile, please contact Dr. Paul Sussman and Dr. Meredith Pogal or call 585-227-4390 today to schedule your free evaluation. We welcome patients from Greece, Hilton, Brockport, Spencerport, Webster, and other communities in Upstate New York.